Warm days. Cool nights. Fresh air. Deep cleaning. You read that right… the spring cleaning season is here again. And not everybody’s happy about it. According to a recent study from SpareFoot, more than half of Americans absolutely dread spring cleaning. In fact, 54% would rather do their taxes than take on their spring cleaning! Despite this, 78% of people still plan to clean in the spring. But what is it that makes spring cleaning so scary, to so many people? Maybe it’s the amount of time involved! According to that same study, 54% of Americans spend more than a full day spring cleaning; 22% say they spend three to six days on it; and 13% say it takes them more than a week to get all their cleaning done! That’s a lot of time to spend on dust and clutter – and it’s time that could be better spent hanging out with your family, planning for your summer vacation, or hitting the gym. Before you start diving into your spring cleaning, take some time to come up with a plan of attack. Planning ahead of time might help you work faster, and may even allow you to spend less time cleaning overall. In particular, be sure to prioritize your spring cleaning checklist. Get the big jobs done first, and then work your way down to the smaller jobs. For example, if you have a mountain of clutter to organize or get rid of, you’ll want to tackle that, before you attempt to dust. Or, if it’s time to switch out the batteries in your smoke alarms, focus on that important task before getting into the nitty gritty, like cleaning your lampshades. Make sure your list is easy to stick to, and possible to achieve. Come up with a schedule that works for your life. Set realistic goals, and you’ll get to enjoy the feeling that comes when you start crossing them off in no time! Nothing can stop a good cleaning session dead in its tracks like realizing you forgot a certain product or tool. Constantly running back to your pantry, or even taking the car out to a store to resupply, can add a lot of time and hassle to your cleaning regimen. Before you start cleaning, get organized in your approach! Make a list of what cleaning supplies and tools you have on hand, and be sure to stock up on what you need. You may also want to consider making a mobile cleaning kit, by gathering your materials in a bucket that you can easily carry from room to room. More sets of hands can make the work go faster, and you’d be surprised how much fun kids can have when they feel like they’re helping out their parents. Consider asking kids to go around their rooms with a basket, and gather up all of their loose toys, homework, or games. Once they’ve de-cluttered, it will be easier for you to wipe down their dusty surfaces or vacuum their floors. You can also use the spring cleaning season to help teach your kids about the power of giving! Help them figure out what toys they don’t use, or which pieces of clothing they’ve grown out of, and then take a little time to donate those items to a local charity group. When deep cleaning, plenty of people make one all-too-common mistake. They clean in the wrong order! When you do this, you might cause yourself to have to clean the same area over and over, which is both time-consuming and annoying. To help cut back on the amount of time you’ll have to spend “re-cleaning,” focus on cleaning each room in your house from top to bottom. Start with cleaning the ceilings, ceiling fans, and crown molding, then tsurn your attention to the walls, then any furniture, and then, finally, the floor or carpet. When you clean this way, you make sure that you’re always getting the dirt and dust that trickles down from area to area. Similarly, when vacuuming or mopping a room, always work your way backwards out of the room, so you’re not leaving footprints or getting grime on your just-cleaned floors! When it comes to your spring cleaning needs, it’s important to be realistic about what you can tackle on your own, and what you should turn over to an experienced professional cleaning service. While it makes sense to go DIY, a professional cleaner will almost always be faster and more thorough than an amateur, which can save you plenty of time and effort. A little money could go a long way toward refreshing your whole home, leaving it feeling clean and welcoming for longer – and without you having to lift a finger! So, if you’re one of the millions of Americans who dread spring cleaning, Sweeping Dimensions would love to help! Our professional home services can take away the stress of your spring cleaning, and give you back time for the most important things in your life. With a professionally trained and uniformed staff, all of our cleanings are fully customizable to meet your unique needs. We bring all of the cleaning supplies and equipment needed to clean your home, with a focus on green, environmentally sound cleaning products. Whether you need light housekeeping or heavy duty cleaning, we always make a sweeping effort to make life less stressful! 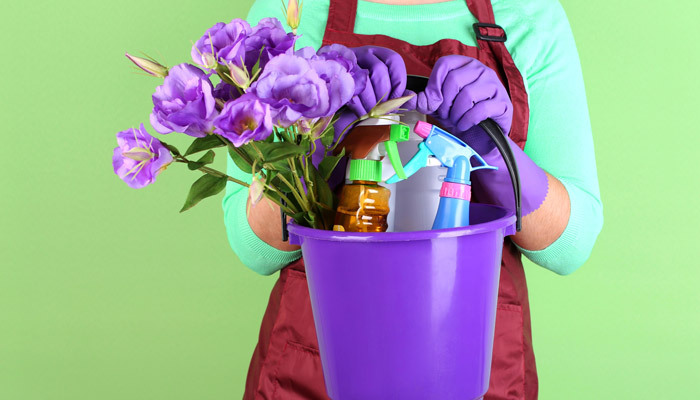 Ready to get your spring cleaning done in the blink of an eye? Contact us today for your free estimate!